University experts and the Czech News Agency (CTK) are developing a tool that would verify information and create context of journalistic news, which means their enquiry into the impact artificial intelligence may have on journalism in future, Czech Technical University (CVUT) wrote today. The scientists will test artificial intelligence (AI) in practice to see the speed and accuracy of its work, the CVUT, whose experts cooperate on the project with their colleagues from Charles University's Faculty of Social Sciences (FSV UK), the West Bohemian University (ZCE) and also CTK, wrote in a press release. "The project is planned to examine the impact of the development of automatisation on the activities of journalists and the way it changes their work," CTK technical director Jan Kodera said. Lubos Kral, from the AI Centre of CVUT's Faculty of Electrical Engineering, said such instruments have not been used in Czechia so far. 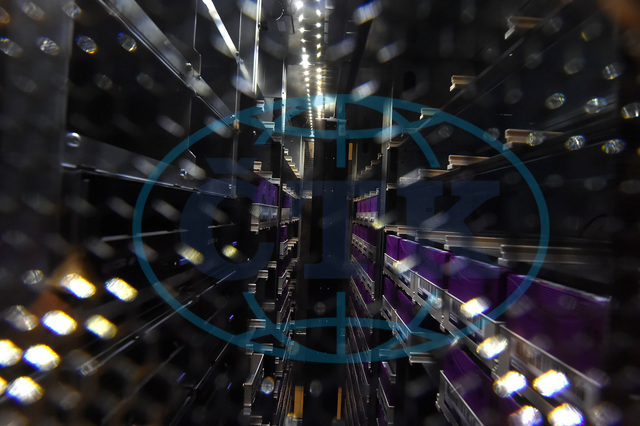 With CTK's assistance, CVUT will develop an instrument to create contexts to complement current news. "We will provide the content of our [news] funds. The tool will learn to find the pieces of news that were written in the past and that are somehow linked to a journalist's newly written text, and it will automatically add the whole context to it," Kodera said. In the beginning, the texts will be obviously automatic. Later the scientists will develop a method to generate very realistic texts. AI will also be verifying information. "The tool may find past news and alert to mistakes in the new ones," Kodera said. The scientists will examine the tool's performance within the work of journalists. They will compare the speed and accuracy with which AI will create and verify texts, and assess its impact on the journalistic work in future. "For example, spectators watching live transmissions might simultaneously watch texts with information complementing the statements [by the transmission protagonists]. Furthermore, it might be possible to create hypotheses about the further development of the transmitted events by comparing them with similar events from the past," Kral said. The project was initiated by the FSV UK, which invited AI experts from the CVUT, Czech language experts from the ZCU and also CTK as a guarantor to apply the research in practice. The project is a part of a public contest within the programme in support of applied social and humanitarian research, experimental development and innovation launched by the Czech Technology Agency. "Automatisation and AI pose a huge challenge to journalism. I am very glad that the country's best academic and research institutions have joined their efforts to tackle the issue," said Vaclav Moravec, from the FSV UK's department of journalism. The original idea was to develop an automatisation tool that would generate news. CTK applied such a tool when covering last autumn's Senate and local elections, when the programme took the current election results, as gradually released by the Czech Statistical Office (CSU), and placed them in a report scheme prepared beforehand. The joint research will now focus on more sophisticated ways of text creating, Kodera said.